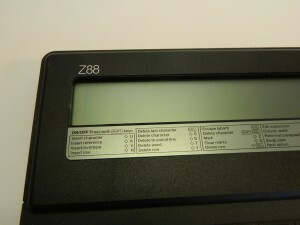 The Z88 was launched in September 1987 and is, in my opinion about the pinacle of Sinclair design. It’s a compact, portable computer on the go. 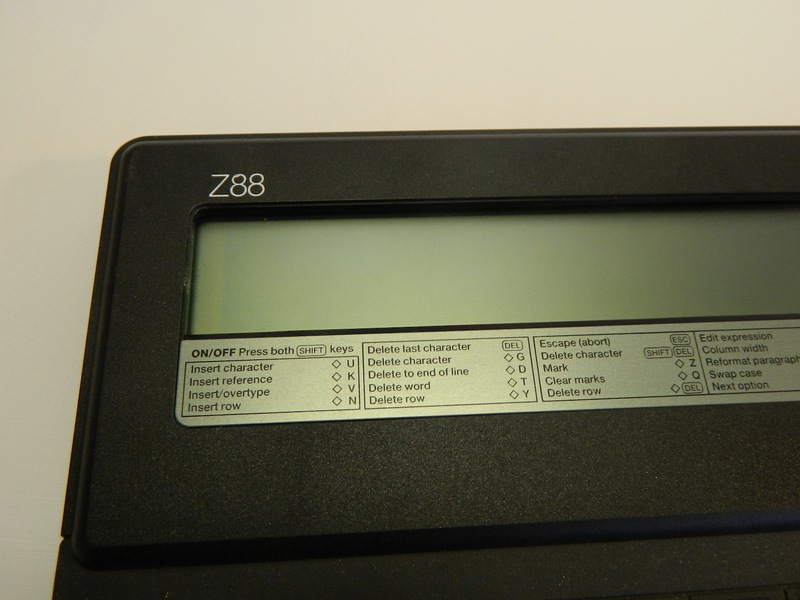 Is has a Z80 processor, popular at the time. The decent size keyboard is reminicient of the Spectrum but a lot better. It doesn’t have much travel and stops abruptly but you could certainly type quickly and accurately for quite a while. Above the keyboard is a small LCD that goes the whole width but is onlt about 2.5 CM high. There is no back light. The integrated software is called “Pipedream” and has a word processor, spreadsheet and the other bits and pieces this class of machine from the UK sported at the time. Despite its CMOS Z80, the Z88 could address a whopping 4MB of memory in 256 x 16k pages and EPROM and FLASH memory cartridges are available. Sadly mine is on the blink at the moment, I suspect the keyboard as a reset has it skipping and dancing but the double shift key start and shutdown isn’t working.